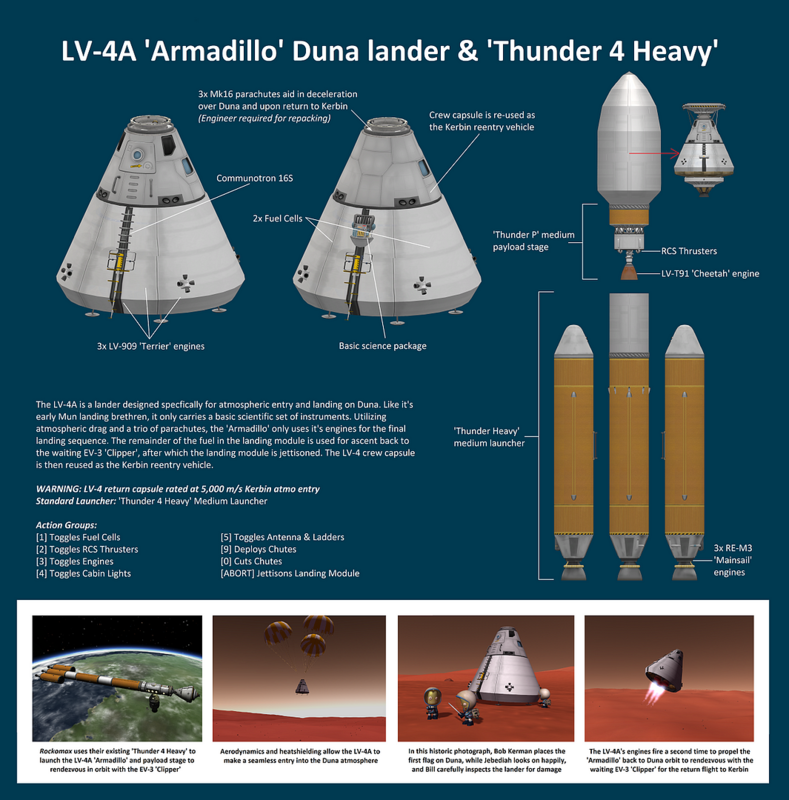 The LV-4A is a lander designed specfically for atmospheric entry and landing on Duna. Like it’s early Mun landing brethren, it only carries a basic scientific set of instruments. Utilizing atmospheric drag and a trio of parachutes, the ‘Armadillo’ only uses it’s engines for the final landing sequence. The remainder of the fuel in the landing module is used for ascent back to the waiting EV-3 ‘Clipper’, after which the landing module is jettisoned. The LV-4 crew capsule is then reused as the Kerbin reentry vehicle.